If so, I’m right there with you. And have I got a book for you! 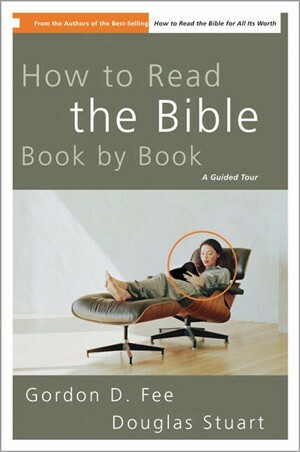 How to Read the Bible Book by Book is a great accompaniment to your daily Bible reading. Written as a follow up to How to Read the Bible for All It’s Worth (which is a great book on how to read the different types of Biblical genres), it takes you through the Scripture, section by section, explaining the histories, the contexts, and the meanings behind what you’re reading. It’s a step up from a study Bible, yet is more simple than most commentary sets. I would normally hesitate to read Scripture alongside any literature that interprets God’s Word for me, but this particular book is written by conservative scholars. For those of us who don’t know the biblical languages fluently and who need a little explanation along with the more puzzling parts of Scripture, this is a valuable help. I wouldn’t recommend cracking it open for light reading from cover to cover, though, as you likely wouldn’t get much from it apart from reading it side-by-side with the Bible. Do you use a commentary or a study Bible? What’s your favorite?